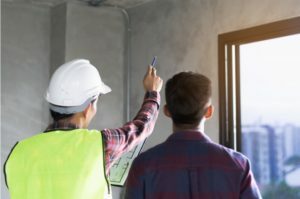 Both commercial buildings and private properties start to wear out with time, either because of the weather, faulty construction or due to a shift in the foundation. Signs of wear might be seen on walls, doors, windows, floors, and roofs among other parts in the building. These signs show that you need building repair solutions. If not, a tiny crack on a building can become a health or environmental hazard. So, how can you tell that your building needs help? During the rainy season, water should hit the roof and flow out with ease. When you notice either drops of water coming through your ceiling or clogging on the roof, it means your roof has holes, and your gutter and downspout system is blocked. Blockage can be caused by filled up debris that can just be cleaned off. However, contact an expert to ensure the system works as it should. Wall cracks are often a result of constant temperature change. As they expand and contract, cracks are formed. Walls can also crack due to drying up of plaster and sifting of the foundation. If walls crack as a result of foundation shift or other related reasons, then the crack will be wider than 3mm. These cracks will be visible not just on the inside of the building but also from the outside. Before assuming that a crack is minor, ensure it gets analysed by an expert. You may have noticed a slight or conspicuous change in your building doors or windows. This is when they appear to have moved from their previous location. This is a clear sign that the foundation of the building has shifted, giving the doors and windows a new position or making them stick or hard to open. More cracks, more reasons to get alarmed. If your concrete cracks, then the weather has found a way to ruin your building. The soil underneath the driveway can expand and contract depending on the temperature. Fortunately, the issue can easily be solved by an expert by simple touching up or levelling the ground. When bricks compact or crack, they allow water through them to the walls. If you have noticed your wall soaks, drips or is slowly damaging then have your bricks checked. When pressure compacts a brick, it is more likely to affect the neighbouring bricks. Once a couple of bricks are affected, it becomes easier to damage the wall when it rains. Building repair and maintenance can be costly depending on how severe the damage is. Therefore, you need a reliable expert who can come up with your building repair solutions with urgency. Contact ST Heating Services Ltd on 0161 279 0137 for commercial & industrial building maintenance solutions in the North West, UK. Available to you 24 hours a day and 7 days a week and we have certified personnel at your service.